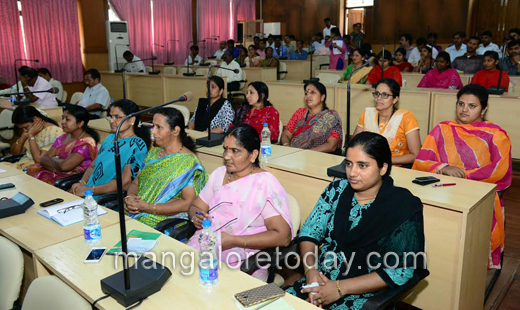 Mangaluru, Mar 21, 2017: Speaking at an awareness programme on eye donation organised by the department of health and family welfare at Zilla Panchayat Hall here on March 20, Monday. Zilla Panchayat chief executive officer M R Ravi said a proposal would be sent to the state government to establish an eye bank at Wenlock Hospital as there is no government eye bank in the district. ZP’s Ravi said that there are only two eye banks in the entire district and they are operated by private hospitals. But, the district hospital, which has a history of over 160 years, does not have an eye bank. If the district gets a government eye bank, then the needy would be benefited, he said. He said that he has directed the district health officer to prepare a proposal and submit it to the department of health for approval. Ravi said that a target has been set by the Zilla Panchayat to enroll 10,000 persons for eye donations. The campaign will be started from the Zilla Panchayat and its employees and members wold enroll for it. He said that he and his spouse have already registered for eye donation during the 25th anniversary of their wedding. Ravi said that workshops to create awareness on eye donation would be organised for school and college students. The health department should spread message on the need for eye donation, he said. He called upon all government employees to donate their eyes to lay an example. Stating that the officials work under pressure, he said that management of stress is an art itself. If one manages the stress effectively, then one can discharge his/her duties effectively, he observed. 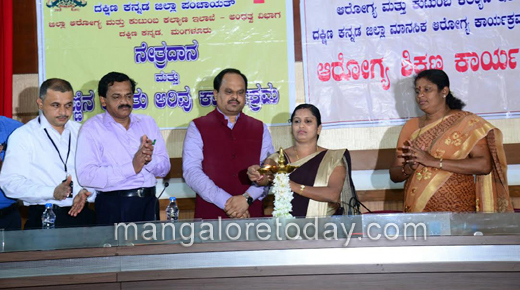 Zilla Panchayat president Meenakshi Shantigodu said that there is a need for more awareness on eye donation. 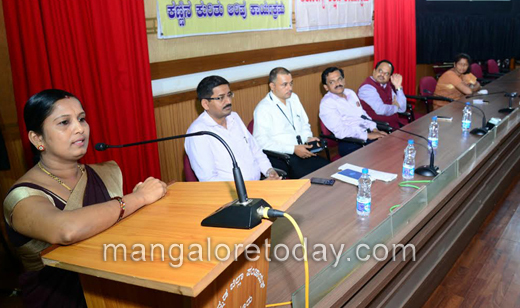 Psychiatrist Dr Jayanth and KSHEMA Professor Dr Srinivas Bhat were the resource persons. Zilla Panchayat vice president Kasturi Panja was present.